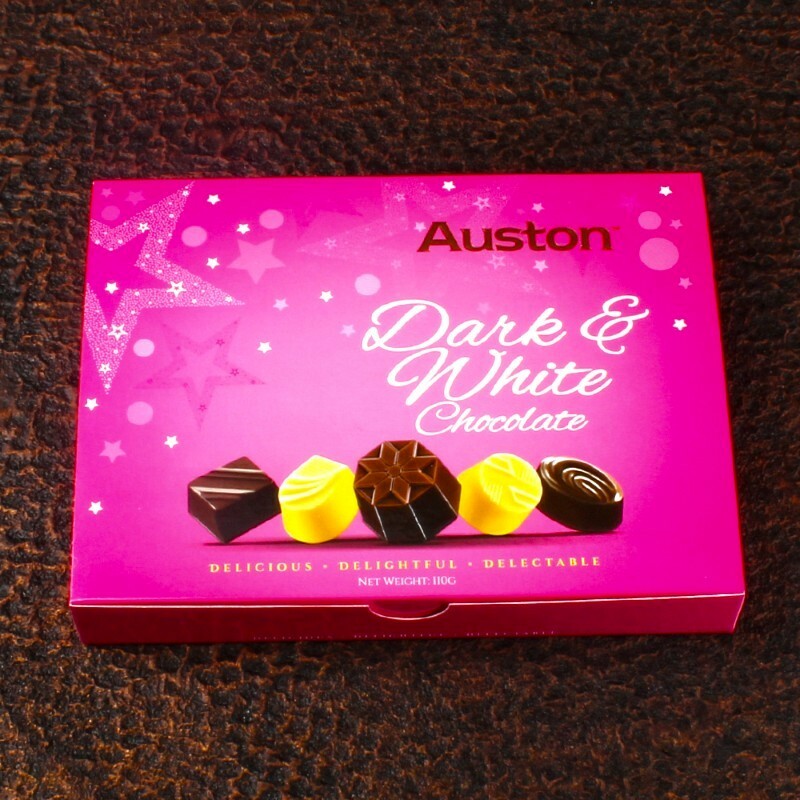 Delight your family with sweetness of Delectable Auston White and Dark imported Chocolates from Malaysia these Chocolates are purely rich in taste. 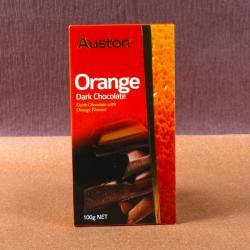 Whatever the occasion may be, chocolate is always a nice surprise. Whether it may be for her or for him, for children, for your dear mom or dad, for guests or for colleagues, this treat will bring great pleasure to everyone every time. 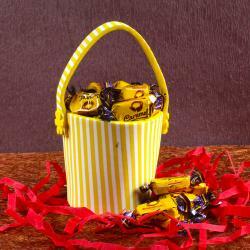 Delicious Chocolates enriched with strawberry compote are placed on lots of compartments. 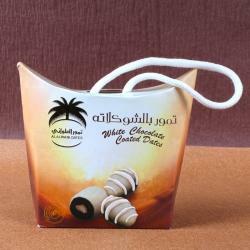 Buy this product for yourself or gift it to your dear ones on any special occasions like Birthday, Anniversary, Valentines and many more. 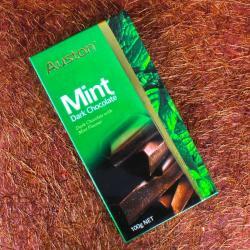 Product Includes : Delightful Auston Dark and White Chocolates (Weight: 110 gms).